Our goal is to connect people with the best local experts. We scored plumbers on more than 25 variables across five categories, and analysed the results to give you a hand-picked list of the best plumbers in Kent, WA. Aardvark Rooter provides affordable and reliable plumbing services in Auburn, Tacoma. Their team’s professional technicians can handle any plumbing-related job, including jetting, camera inspections, line snaking, and sewer line repairs. Many homeowners recommend and trust this company for both big and small plumbing tasks. Owned by Fred Fazio, Aardvark Rooter offers responsible and honest pricing for their services. Clients can check out their special offers, reviews, and other information on their official website. Andy Jahn Plumbing & Rooter has been providing customers in the Auburn-area with outstanding service for more than a decade. The licensed, bonded, and insured plumbing services provider specializes in repairs, re-piping, and emergency response. Clients can depend on the professionals to quickly resolve emergency plumbing problems including plugged drains, sewers, faucet leaks, pipe leaks, and malfunctioning garbage disposals. Andy Jahn Plumbing & Rooter commits to providing customers with superior quality work and honest pricing that exceeds expectations. The full-service plumbing contractor offers customers a broad spectrum of services that keeps water flowing through pipes in a safe, efficient manner. The trusted plumbing services provider makes quality a top priority by employing highly skilled professionals with expertise in installing and repairing toilets, faucets, garbage disposals, bathtubs, under the sink pipes, sewer lines, and more. C Les Plumbing is a plumbing services provider located in Maple Valley, Washington and serving residential and commercial customers in the surrounding areas. Owner Les has been personally providing expert plumbing and drain cleaning know-how to the community for more than twenty-nine years and, as C Les Plumbing, LLC, since 2015. The company offers emergency repair options and discounts to senior citizens and is equipped to work on all makes and models of plumbing fixtures. Residential service areas include gas and electric water heater installations, toilet and faucet replacements, bathroom and shower installations, garbage disposals, gas pipe repairs and installations, burst pipe fixes, clogged drain repairs, sewer line replacements, and well water pressure system maintenance. Light commercial services include sewer line backup and repair, pump repair and replacement, tenant improvement plumbing, water leak detection, and water heater replacement. Drain Away Plumbing is located in Auburn, Washington that uses state of the art equipment and tools to correctly and completely assess any plumbing problem so as to provide the correct and best solution. 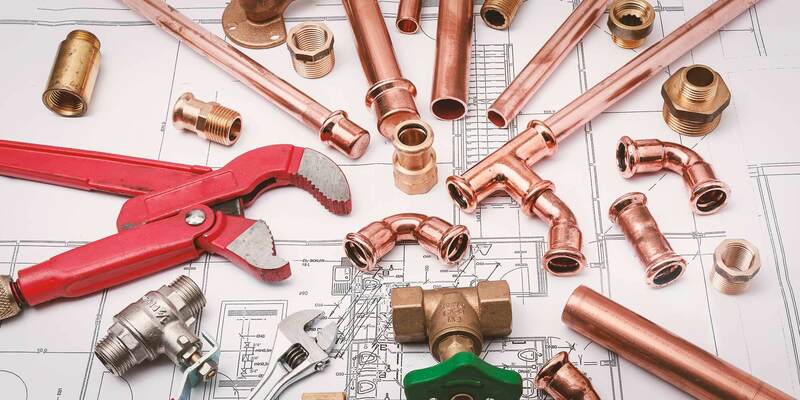 The company offers full-service plumbing including drain and sewer cleaning, low water pressure problems, remodel and new construction, repiping, video inspection, backflow testing and installation, and many others. The company provides a money back guarantee for unsatisfied customers and also have a team of technicians available to take calls 24 hours a day for any plumbing emergency. Located in Kent, Washington and serving the wider Puget Sound and surrounding metropolitan areas, I Need a Plumber Now is a professional full-service plumbing contractor with more than ten years of experience in the industry. The company takes on both residential and commercial work, offering clients a range of plumbing services that includes the installation, repair, and replacement of garbage disposals, dishwashers, faucets, drains, sewer lines, septic tanks, water heaters, bathtubs, showers, and more. Additionally, I Need a Plumber Now specializes in hydro-jetting, fiber-optic video camera inspection, and around-the-clock emergency plumbing services. Previous customers praise the company for its affordable prices, knowledgeable technicians, and long-term reliability of its work. Seattle Pipeworks is owned and run by Tim Walsh who established the business over 30 years ago to serve the greater Seattle area. The firm specializes in the installation, service, and maintenance of pipes, and has built long-term relationships with homeowners and builders in the area. They undertake the installation and repair of sewer and water lines and perform sewer video locating, sewer cleaning, and hydro jetting. Their trenchless technology services include pipe lining, pipe bursting, and horizontal drilling. For new construction projects, the business provides green stormwater infrastructure, rain gardens and bio cells, storm detention, and all wet and dry utilities. Reviews declare the firm to be fair, honest and patient and frequently mention the money it saved them over less honest quotes. Transit Plumbing, Inc. has served the Pacific Northwest for more than two decades. The technicians here are all journeymen who are licensed by the State of Washington. They are skilled in drain cleaning, leak detection, gas piping installation, trench excavation, and the replacement and repair of all kinds of plumbing fixtures. Their specialties also include compressed air lines, medical gas, grease traps, oil-water separators, sump pumps, water booster pumps, and back water valves. They take on new construction work as well as bathroom and kitchen remodeling projects, and they are available for consultations. Transit Plumbing prides itself on delivering value for money -- it aims to be transparent and upfront about its pricing, and it offers free estimates for both residential and commercial customers. The firm's offices can be found on 49th Street in Auburn, Washington. Vortex Plumbing, Inc. is a trusted plumbing service provider in Kent, Washington that has been providing high quality and affordable residential, commercial, and emergency plumbing services in the community for many years. It is composed of highly trained and experienced plumbing experts who utilize state-of-the-art plumbing tools and equipment. Their services include repiping, sink repairs, plumbing installation and repairs, sewer cleaning and installation, water heater inspection and repair, and drain jetting and repairs. To the convenience of their valued customers, their team of talented and experienced plumbers are available 24 hours a day, 7 days a week.